Tesla owners have criticised the electric car firm for its “terrible” decision to lower the prices of its cars by tens of thousands of pounds. 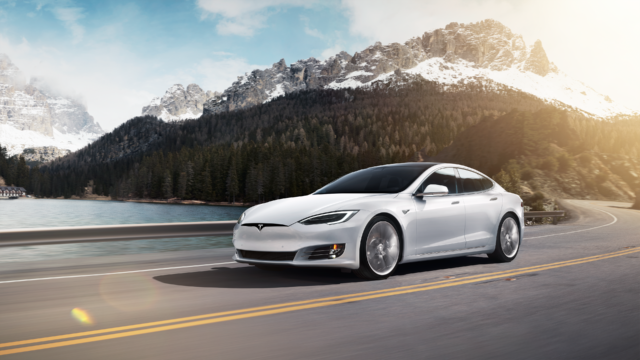 Last week the firm announced it was slashing the prices of its Model S and Model X by up to £40,000 after changing the specifications of its range slightly. The American firm previously named its models after the battery pack fitted – with variants known as the 75D, 100D and P100D. However, the models are now known as the Standard Range, Long Range and Ludicrous Performance. Previously, a Model S P100D cost £131,305, but since the change, an equivalent Ludicrous Performance version now costs £83,300, an incredible saving of £48,005. This is fantastic news for anyone considering a Tesla but many current owners who have recently bought a Model S or X feel disappointed by the decision. @LikeTeslaKim Morning Kim, I’m 8 weeks into owning a Tesla and after Tesla’s announcement I could now buy a car exactly the same with longer range (bigger battery) cheaper than I paid. Really upset in the UK. Be interested in your take on this and if the US owners are as upset? Speaking to the Press Association, Justin Hammond, who picked up his new Model S 75kWh eight weeks ago, said he no longer trusted the brand. Hammond said that because the price of the ‘Long Range’ model has been cut by £20,000, the price is now the same as what he paid for his 75 model. Current owners have expressed anger at the decision on social media and dedicated message boards for Tesla drivers, questioning if this is how the brand “should treat customers” and whether this was “a mistake” when the news first broke. One owner, known as ‘thegruf’ on the Tesla Motor Club forum’s UK and Ireland page, said he was currently in the process of selling his Tesla and that the value of his car had dropped by around £25,000 since the decision was announced. However, many existing owners have said this only encourages them to buy again. Elon Musk, the firm’s founder, tweeted that owners who missed out on the price decrease would be able to save around £4,500 on Tesla’s semi-autonomous Autopilot driving system. We’re trying to make EVs & autonomy more affordable over time. This is the right thing to do. However, we cannot then also retroactively make earlier buyers whole without killing the company. He added within the thread that Tesla is “trying to make EVs and autonomy more affordable over time” and that it would “kill the company” to retroactively offer earlier buyers the savings. However, Tesla confirmed that buyers are able to cancel an existing order and reorder to benefit from the new pricing.